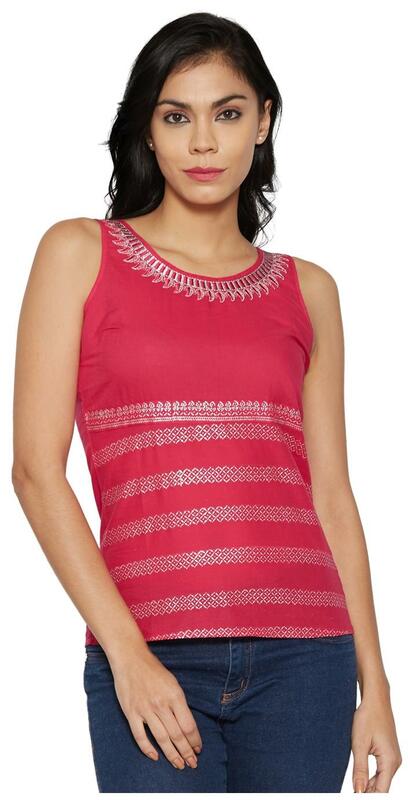 This top by Globus is a great addition to your casual wear collection. It features ethnic motifs all over and is fuchsia pink in colour. This top is sleeveless and has a round neckline.